HubSpot’s technology stack is designed to simplify and maximize your effectiveness at every stage of your buyers purchasing journey. It supports marketing teams, sales and business development teams, and provides clarity to leadership on the entire marketing and sales pipeline. Knowing where to start and how to stay focused is the hard part. Let one of our inbound marketing and HubSpot experts show you how HubSpot could work for you, and where you need to start to achieve your goals. 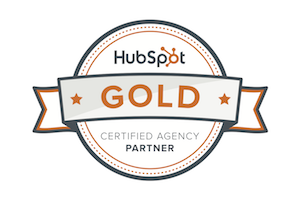 Find out why B2B marketers everywhere are turning to HubSpot. Schedule your demo today. The Whole Brain Group specializes in helping companies use inbound and digital marketing techniques like blogging, social media, and email marketing to drive website traffic and generate leads online. Our HubSpot and Inbound certified experts work with growing companies who want to scale their marketing without scaling their overhead by hiring a large in-house team. We also provide training to help clients who want to keep costs down by doing some of the work themselves. Learn more about our team on The Whole Brain Group website. © 2019 WBG. All Rights Reserved.